Catching the Boston Marathon bombers was an undertaking of monumental proportions for Boston area law enforcement but the first big break in catching Islamic terrorists Tamerlan and Dzhokhar Tsarnaev after they had set off the pair of homemade bombs in Boston came thanks to the Mercedes Benz mbrace vehicle tracking system. On April 18th around 11pm, only a few days after the horrific Boston Marathon bombing, a 26 year old Chinese man known only as “Danny” pulled his brand new Mercedes Benz ML350 sport utility vehicle to the side of the road in Boston to reply to a text message. Shortly after the Benz SUV came to a stop, a vehicle described as an old sedan pulled up behind him and slammed on the brakes. The passenger of the sedan ran up to the passenger’s side front door of the ML350 and when Danny opened his window to see what the man wanted – he quickly opened the door from the inside and climbed in, brandishing a weapon. The carjacker was quick to explain that he was responsible for the Boston Marathon bombing before ordering Danny to drive. The carjacker was 26 year old Tamerlan Tsarnaev. When he first began driving his assailant around the Boston area in his Mercedes Benz ML350, the old sedan followed them. The carjacker demanded Danny’s wallet which had just $45 in cash but the kidnapped Chinese man gladly handed over his ATM pin number as an effort to save his own life. After driving for a short time, the carjacked ordered Danny to stop in a quiet neighborhood where he was moved into the passenger’s seat while the carjacker took the wheel. The driver of the old sedan (known later to be 19 year old Dzhokhar Tsarnaev) loaded a bunch of what Danny thought to be heavy luggage into the back of the Mercedes SUV before taking a seating position behind Danny in his ML350. As they began driving around once again, with the owner now in the passenger seat while Boston Marathon bombing suspect #1 drove, the two terrorists explained to Danny that they were Muslims and he proclaimed that the Chinese are kind of their religion – again in an effort to save his own life. The three rode around for some time, stopping to hit an ATM machine before getting back on the road as the terrorists discussed their next step. Danny had a hard time following all of what was being said but it was clear that a trip to New York City was being discussed. However, as the trip wore on, the Mercedes SUV was running low on gas. Boston Marathon suspect #1 pulled the Mercedes Benz ML350 into a Shell gas station at the corner of River Street and Memorial Drive in Cambridge. Suspect #2 got out to pump the gas with the intention of using Danny’s credit card to pay but he informed the driver that it was cash only at that hour. The elder terrorist handed him a $50 and sent him into the store to pay before fidgeting with the Benz’s navigation system. While struggle to program the nav system, Tsarnaev placed his handgun in the door pocket and that was when Danny seized his chance for freedom. One hand unbuckled his seatbelt while the other simultaneously opened the door and he ran as hard as he could for the Mobil station across the street. The terrorists didn’t have time to react, quickly fleeing as the younger of the two came out of the Shell station. Once inside, Danny informed the clerk as best he could what had happened until the Mobil station employee called 9-1-1 and handed the phone to the frightened Chinese man. Upon arriving, Danny explained to the police that he was driving a new Mercedes Benz ML350 with the mbrace vehicle monitoring system. Just after midnight, Danny called Mercedes Benz and confirmed that he was who he claimed to be and the German automaker was quick to provide local police with the location of the ML350 and with it – the location of the Boston Marathon bombers. A short time later, police located and cornered the ML350 and a shootout ensued – with the result being one terrorist dead and the other on the run. Had the Boston Marathon bombers chosen to carjack something less glitzy – even an older Mercedes Benz vehicle that was not equipped with a GPS based tracking system, they may have been able to carry out their plan of driving to New York City to detonate more explosives in an effort to kill more Americans. Luckily, the Mercedes mbrace technology showed just how accurate and dependable it is – leading police to the carjacked ML350 that was being driven by the cowardly Tsarnaev brothers. In seeking out a higher end vehicle to drive from the Boston area to New York City, they sealed their fate – effectively leading police right to them with the help of Mercedes’ built in tracking system. When we think of security systems like mbrace or General Motors’ OnStar, we generally think of it as more of an unnecessary feature that will help us open the doors when the kids lock the keys in the car or possibly alert the authorities in the event of an accident. However, these systems have helped curb car theft because it is simply too hard to get away once the car has been reported stolen and the fact that the Boston Marathon bombers were able to be tracked down so quickly shows why new cars are becoming less enticing to those looking to steal a car. 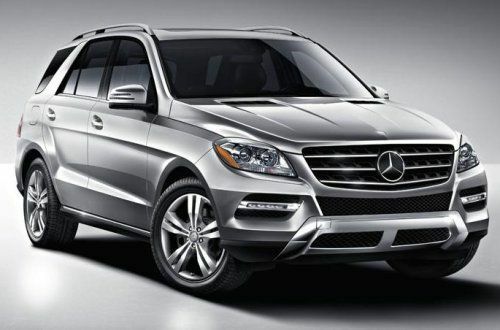 In most cases, preventing car theft is only saving the owner a headache but in this case – the Mercedes mbrace technology effectively served as the first major step in catching Tamerlan and Dzhokhar Tsarnaev. There has been some measure of controversy surrounding these vehicle tracking systems and how they can infringe on a consumer’s freedom but the capture of the Boston Marathon bombers is the second case where Mercedes security technology has hit the press for very good reasons. Back in 2003, a Mercedes was carjacked with two young children in the back seat. Mercedes used the mbrace system to both track the vehicle and listen to what was being said in the vehicle. Mbrace no longer automatically “listens” to what is being said inside of the vehicle but the tracking system is still integrated – and it is that technology that served as a key part of the puzzle in capturing the Boston Marathon bombers. It's moments like this that make me privileged to work for Mercedes Benz of Baton Rouge. This is the kind of things that helps separate us from any other brand. We carry a Legacy and a Heritage like no other and I am happy to be a part of it.